Come out to Old Ox on July 24th from 7-9 PM for a fun night of beer and trivia. 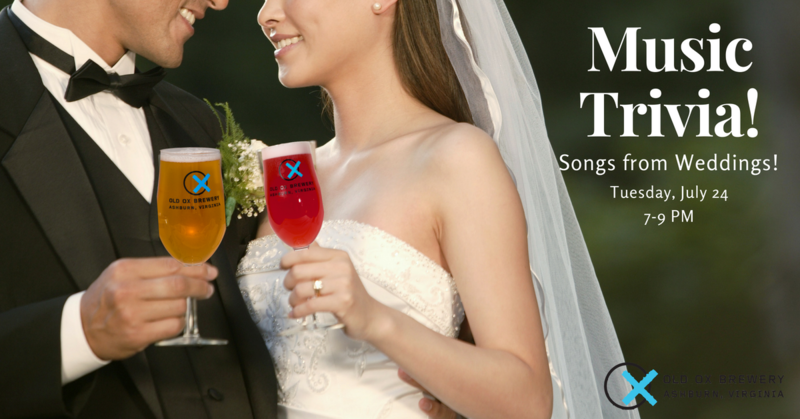 All 4 rounds will include songs from weddings. Prizes awarded after every round. 5 Players per team.